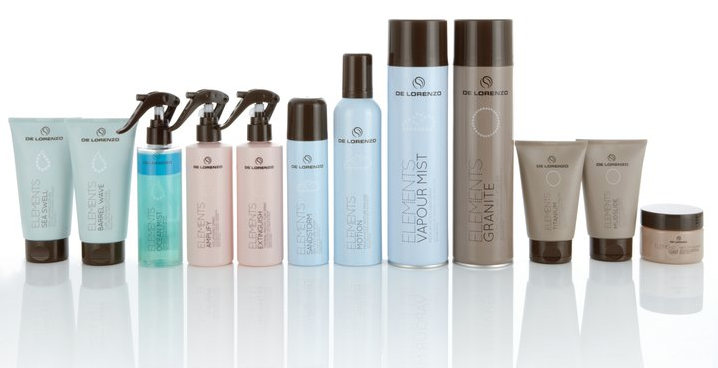 Australia’s favourite haircare company De Lorenzo has launched a brand new, unisex styling range called ELEMENTS. The Elements series is inspired by the four natural elements and designed to complement our Australian ‘outdoor’ lifestyle. The elements series is made up of 12 new, natural based styling tools that use an ‘intelligent’ new generation of polymers, which offer increased humidity resistence and ‘Elemental Shape Memory’. These new polymers also offer superior hold and shine with incredible flexibility, and allow the natural movement that reflects the Australian consumer’s preference for understated glamour. ‘Elemental Shape Memory’ allows the hair to be restyled many times without leaving any product build up, no stiffness or crunch, and no sticky residue on the hands.